"Those whose lives have been ruined don't care about the geopolitics behind bomb attacks; they tend to blame the attackers. The failure of the American campaign in Cambodia lay not only in the civilian death toll during the unprecedented bombing, but also in its aftermath, when the Khmer Rouge regime rose up from the bomb craters, with tragic results. The dynamics in Iraq could be similar." President Obama on Wednesday authorized a major expansion of the military campaign against rampaging Sunni militants in the Middle East, including American airstrikes in Syria and the deployment of 475 more military advisers to Iraq. But he sought to dispel fears that the United States was embarking on a repeat of the wars in Iraq and Afghanistan. 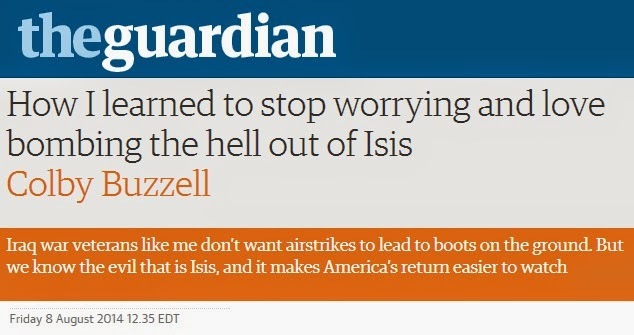 Repeating the mistake of getting caught in a quagmire of never-ending American military violence in the far-flung Orient? Never! 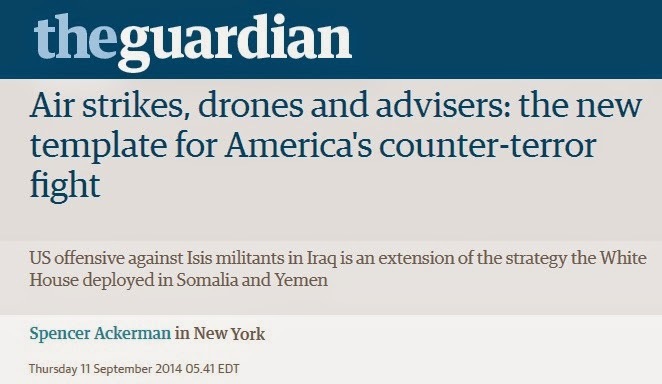 But we don't need to look back only a decade to find examples of this type of cyclical war-making. 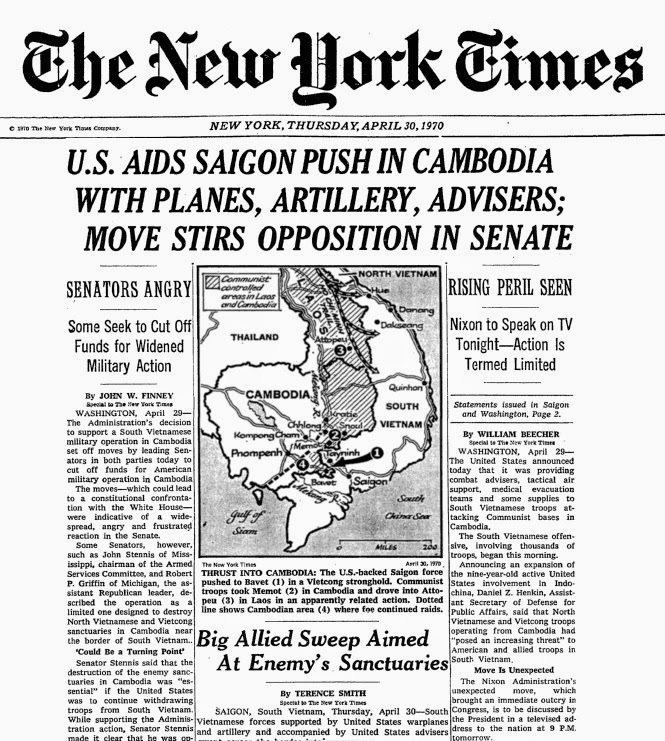 Over 44 years ago, on April 30, 1970, the New York Times announced President Richard Nixon's expansive bombing campaign and invasion of Cambodia. That evening, Nixon addressed the nation about the previously clandestine military operation. That week alone, the U.S. Air Force dropped over 10,000 tons of ordnance on Cambodia. By the end of the U.S. bombing, in mid-August 1973, the United States military had used over 2.7 million tons of artillery in Cambodia, substantially more than what the Allied powers dropped collectively throughout the entirety of World War II. In June 1970, frustrated that American air power wasn't successfully degrading or destroying his enemies, Nixon bellowed to his National Security Adviser, Henry Kissinger, "They have got to go in there and I mean really go in... I want everything that can fly to go in there and crack the hell out of them. There is no limitation on mileage and there is no limitation on budget. Is that clear?" Much of this same mindset, language and, sadly, inevitable results are exactly what we're seeing today, except without the Congressional opposition. As the great Pete Seeger sang, "When will we ever learn?"